GIBY Systems Tech, Steve Dee, recently began reassembling Zeus drive pods on a Sabre 42. 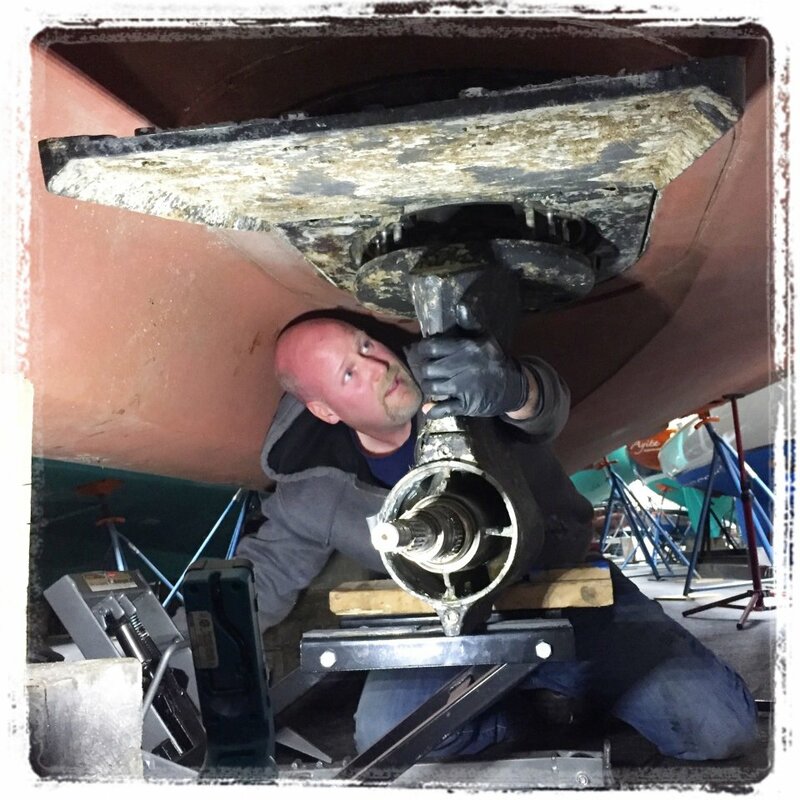 After dropping the units out of the boat to address preventative maintenance warranty items, Steve cleaned and inspected the king plates, replaced the special plate studs, and updated the MerCathode system, which provides active corrosion protection to the pods. Changing fluids, filters, and zincs was also part of the job. In anticipation of the demand for pod service continuing to increase in the coming years, Great Island Boat Yard is positioning itself accordingly. GIBY wants their techs to remain nimble, sharp, and ready to respond to the industry’s ever-evolving and advancing technologies. This is why they regularly send their team “back to school”. Most recently, systems tech, Steve Dee, headed south to attend a Mercury Zeus Pod training class. The class was broken into two segments – one focused on mechanical understanding of the pods and the other on the electrical and electronic control side. Because the Zeus product has been in the marketplace for about 10 years now, the demand for pod drive service is on the rise. As the fleet of boats with this technology ages, boat owners are also starting to report a lack of qualified mechanics to work on the product. 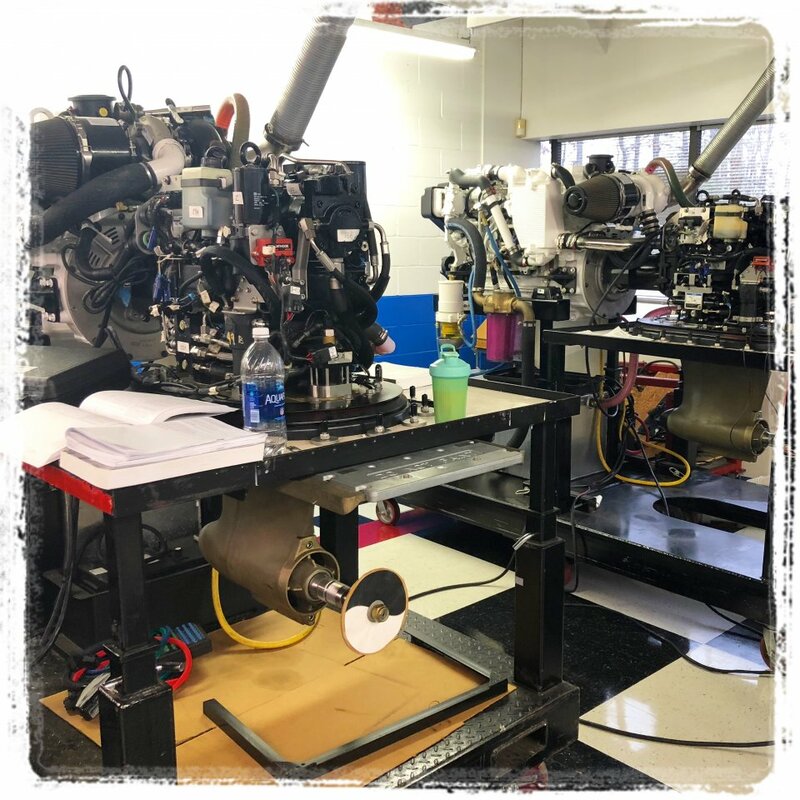 Training techs, and staying on top of this trend, puts GIBY ahead and gives customers direct access to a team with the technical skills necessary to service even the most sophisticated boats on the market.